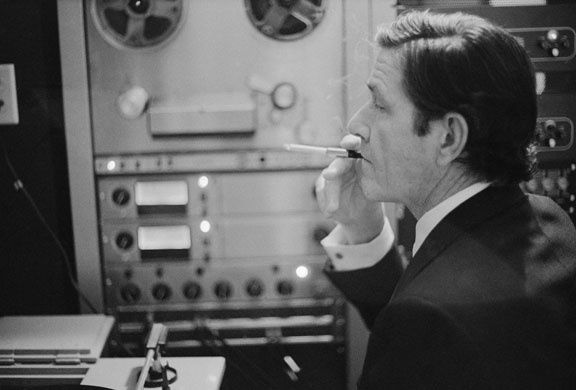 Music of Changes is a piece for solo piano by John Cage. 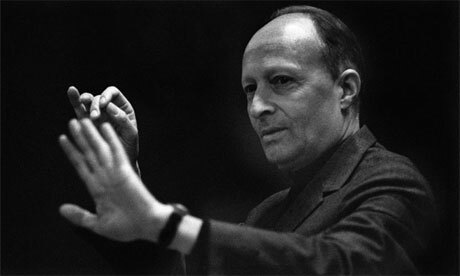 Composed in 1951 for pianist and friend David Tudor, it is Cage’s earliest fully indeterminate instrumental work. 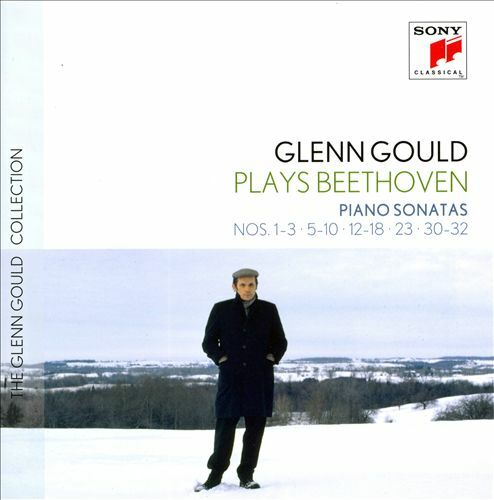 The Piano Sonata No.5, Op. 53, is written by Alexander Scriabin in 1907. This was his first sonata to be written in one movement, a format he retained from then on. A typical performance lasts from 11 to 12 minutes. Original Russian text: Я к жизни призываю вас, скрытые стремленья!Вы, утонувшие в темных глубинахДуха творящего, вы, боязливыеЖизни зародыши, вам дерзновенье приношу! Original French translation: Je vous appelle à la vie, ô forces mysterieuses! Noyées dans les obscures profondeurs De l’esprit créateur, craintivesEbauches de vie, à vous j’apporte l’audace! 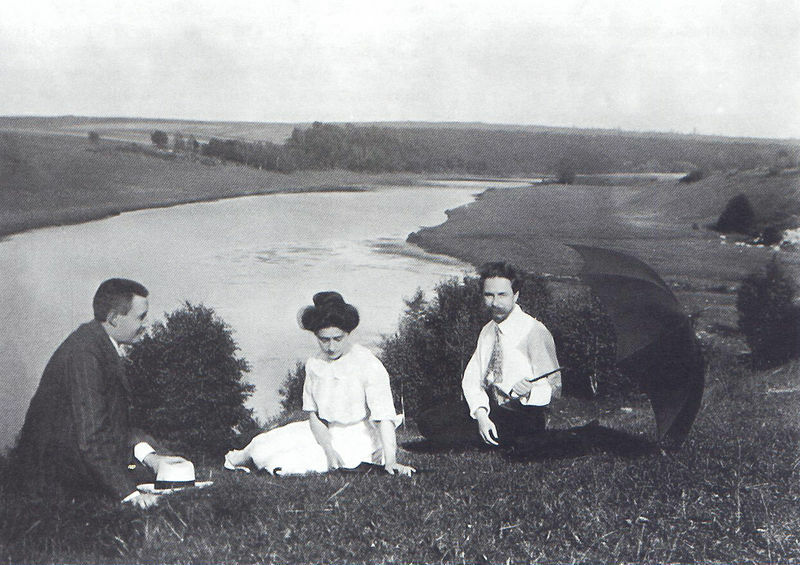 Alexander Scriabin, Tatiana Schloezer and Leonid Sabaneev on the banks of the Oka River, 1912. 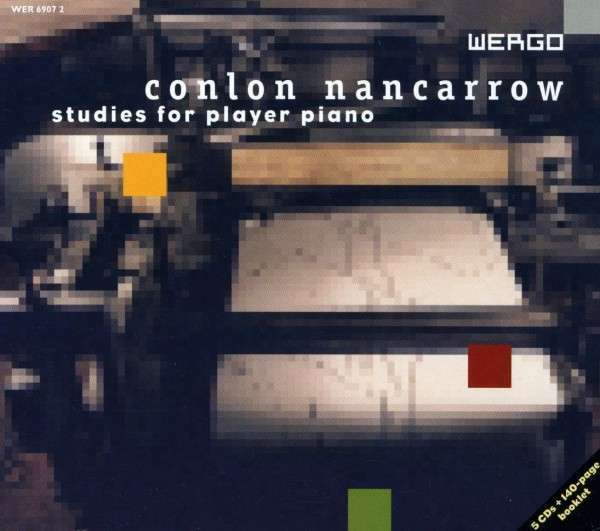 From the album Studies For Player Piano by Conlon Nancarrow, recorded on Conlon Nancarrow’s custom-altered 1927 Ampico reproducing piano at the studio of the composer in Mexico City on January 10 and 12, 1988. 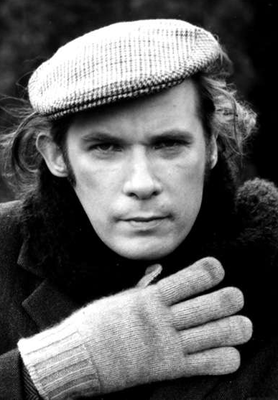 Ludwig van Beethoven wrote his 32 piano sonatas between 1795 and 1822. 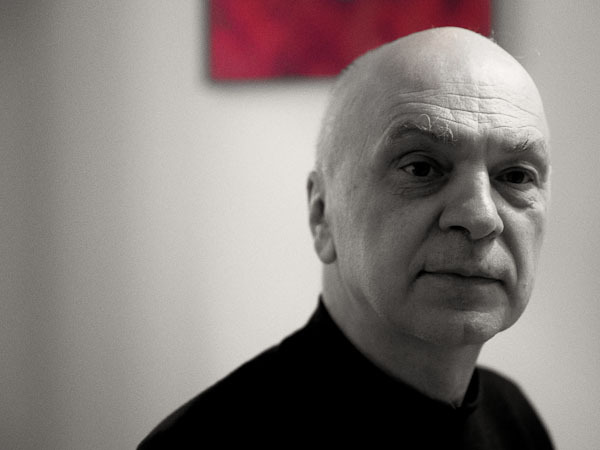 Although originally not intended to be a meaningful whole, as a set they comprise one of the most important collections of works in the history of music. Hans von Bülow even called them “The New Testament” of music (Johann Sebastian Bach´s The Well-Tempered Clavier being “The Old Testament”. 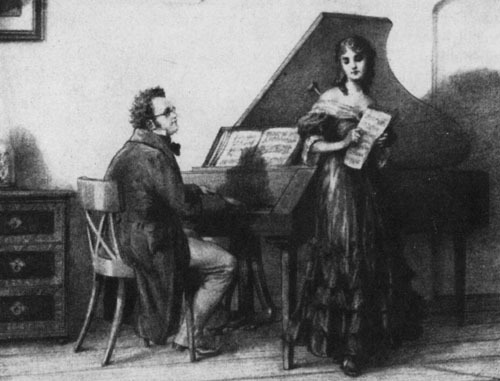 Beethoven’s piano sonatas came to be seen as the first cycle of major piano pieces suited to concert hall performance. 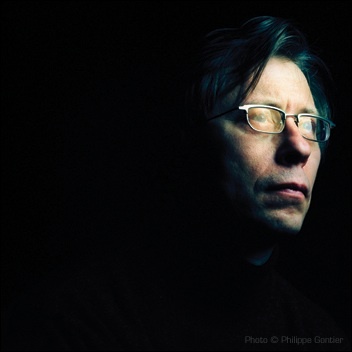 Being suitable for both private and public performance, Beethoven’s sonatas form “a bridge between the worlds of the salon and the concert hall”. Camille Saint-Saëns, in his debut public recital at the age of ten, offered to play as an encore any of Beethoven’s 32 piano sonatas from memory.